If you haven't watched that video above before, I definitely recommend it. For this, the fourth post in the 20 days challenge, I'm supposed to talk about my best World of Warcraft memory. 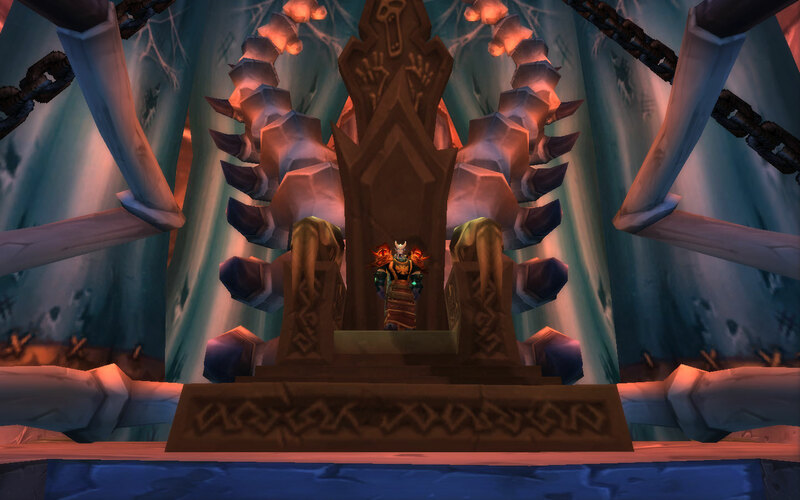 I've talked before about how I started raiding in Naxxramas with my old guild. That was my absolute favorite time in the game. I never had raided before because Wrath of the Lich King was my first real expansion. After I joined my guild at the time was when they really got started with Wrath raiding. They had done pug Obsidian Sanctum and Vault of Archavon before, but delving into Naxxramas was something new for them. The first time I raided with Animus wasn't as a guildie. We (Sarah and I) had already met Imaownu and Beartank and after our lovely night of running heroics we were told that we should join them in raids sometime. One night I received a whisper asking if I wanted to join them on their weekly raids they did. I accepted and ran Sartharion and the Vault of Archavon my very first time (my first raids ever) with them. I had an absolute blast running the dungeons that I knew that I wanted to be in this guild. Shortly thereafter, we joined Animus and were on their raids every week. She became a star healer and I was one of the best DPS (go go elemental shaman). Over the following months, we all worked together to clear out that raid. Downing bosses, getting gear, and having a good time was our goal, and it was achieved. We progressed more slowly than other guilds did, but I didn't care. Progress was still being made. Grobbulus was our biggest challenge. Week after week we would throw ourselves at Grobbulus and only do slightly better than we had on previous attempts. That fight was such a coordination fight that everyone just had to be on the exact same page. After trying him a few times each week we would work on some other wing. The Four Horsepersons gave us trouble also. Eventually we settled on a strategy where Sarah and I took care of the rear horepersons. The battle would start with me Heroism'ing the front group and then promply running to the back to attend to Lady Blaumeux. Since I was an elemental shaman, I could heal myself pretty well except for the part where we would trade sides because I had no instant cast spells. Eventually we worked it out that Sarah should use Beacon of Light on me and then as we are running past each other she would Holy Shock herself so I would get the residual heals. Eventually we got the four wings down and proceeded to work on Sapphiron and Kel'Thuzad. Each boss gave us trouble but didn't take us more than a couple weeks at the most to take them both down. It was such an exciting time for me to be playing WoW. Progress was really being made and I was playing with a group of people who were fun to be with and could clear content.